what is a DIY branding package? As a business owner you’re constantly juggling a million things. You need to make sure that your product is amazing, that your systems are working, that your customer service is outstanding. There are so many things vying for your attention every day that sometimes one of the most important things of all for your business is one of the things that is left behind—your branding. Has your brand kind of come together by accident, without intention? Without exactly personifying the important traits of your business? Is it a bit… blah? WE NEED TO CHANGE THAT. BOLD + INTENTIONAL BRANDING IS ONE OF THE MOST IMPORTANT WAYS TO FURTHER YOUR BUSINESS. Putting the time and effort into building your brand now will work for you in the future, by making new customers and opportunities come to you on their own, without you having to try so hard for each one. TAKE YOUR BRAND FROM BLAH TO BOLD + SHOW YOUR CUSTOMERS WHAT YOU’RE ALL ABOUT. This is a DIY branding package created just for the small business owner who doesn’t have extra money to spare to pay someone to create brand spankin’ new branding for them, but is savvy enough to know they need it. DIY branding is for when you don’t have a bunch of money to spend on professional help, but you have the time + you have the desire to do it yourself– you just need the guidance to get there. THIS PACKAGE SHOWS YOU EVERYTHING YOU NEED TO KNOW TO BRAND YOUR BUSINESS BEAUTIFULLY + WALKS YOU THROUGH IT STEP BY STEP. Each section starts with information about a certain brand aspect, which you can read right on your computer or tablet, or print out. At the end of the section there are clearly spelled out action steps so you know exactly what you need to do to build that piece of your brand. Corresponding printable worksheets help you accomplish the action steps in a fun + beautiful way. There is no way to NOT have a completely polished brand presence after completing this package + following all the steps. PLUS, for 1 month after the date of purchase, you get access to personal guidance from me for any questions you may have, which can include checking over + offering feedback on materials as you do them! all the guidance you need to make sure you complete the entire process with amazing results! access to one on one Q & A and guided help whenever you need it for 1 full month after the date of purchase! 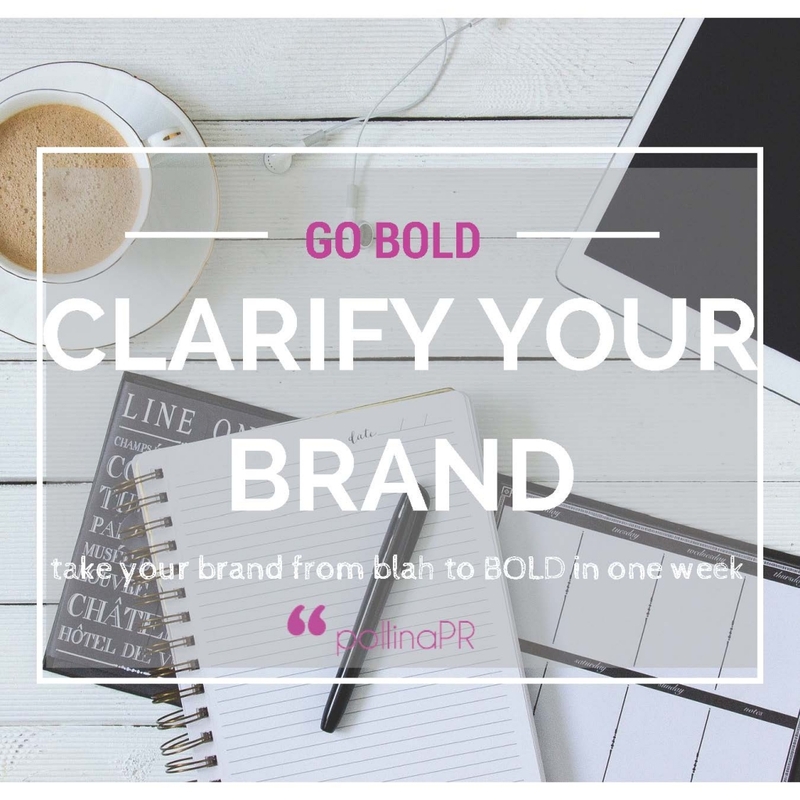 Take your brand from blah to BOLD in one week! Not quite ready to take the plunge just yet? Sign up for our email list and receive a free branding checklist right now, and be notified about other great stuff later on.